The webinar is over, but the recording is now available! Deep Web, Deep Insights explored the research difference between the surface web and the deep web, and we’re happy to make the recording available for on-demand viewing, including a rich Q&A session with our audience. The “deep web” is the vast pool of content estimated to be 500x greater in size and quality than the “surface web” that is unindexed by popular search engines and undiscovered by do-it-yourself research. Why the deep web matters and how librarians can demonstrate value in this area. What the deep web holds and how it delivers the information advantage. Research challenges and examples from the LAC Group virtual research team. Ideas for deep web search engines, how to approach social media searches and answers to other research questions from our audience. Get started on your discovery of deep web information by watching this informational 1-hour webinar. Missed the webinar Deep Web, Deep Insights? No worries! Just provide your details below for access to the video recording and slide deck. 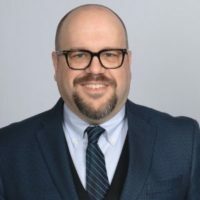 LAC Group’s Senior Director of Research & Intelligence John J. DiGilio, MLIS, JD, discussed how law firms can tap into the power of deep web information, with a member of his virtual research team to share ideas and examples.